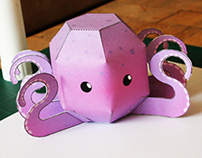 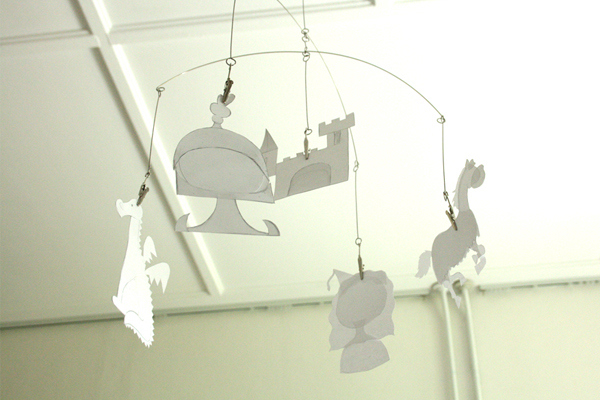 A paper mobile for above my nephew's crib. 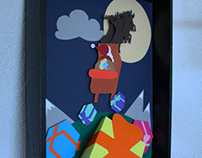 The knight and castle are based on drawings on my nephew's birth announcement card. 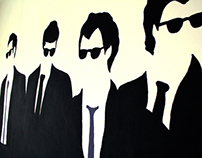 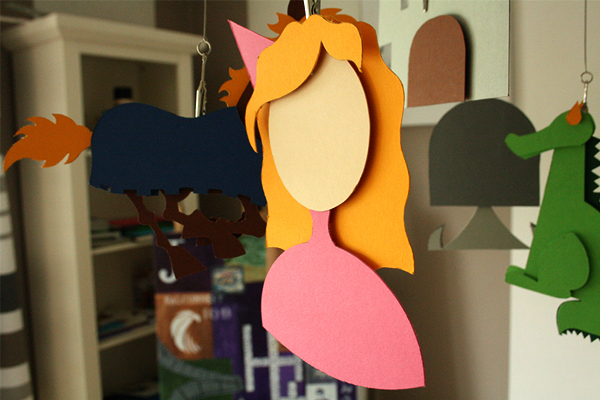 The characters are made from bright, heavy paper and are suspended from a simple photo mobile. 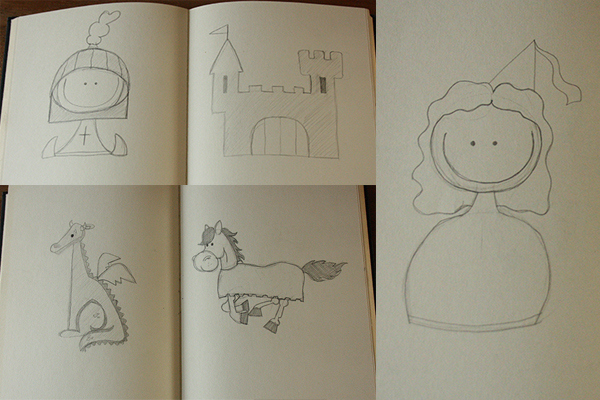 Sketches of all the different characters. 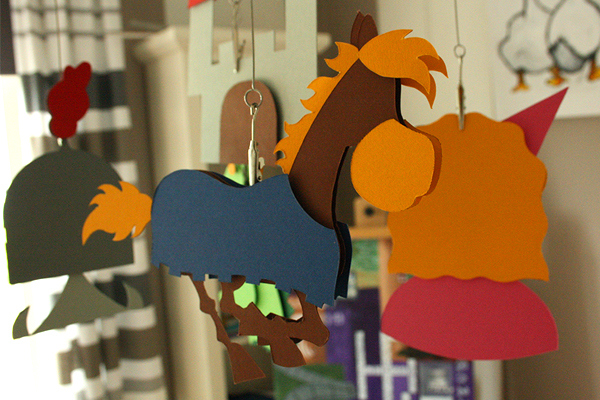 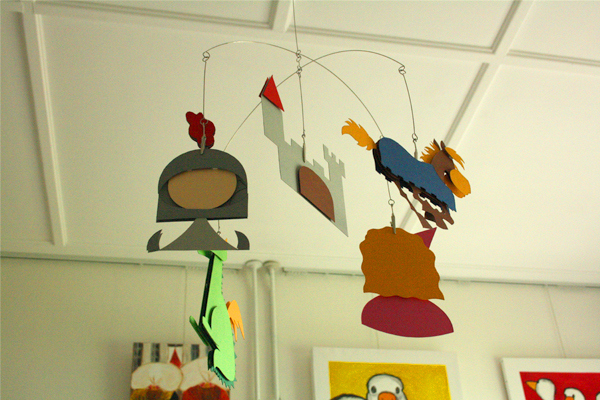 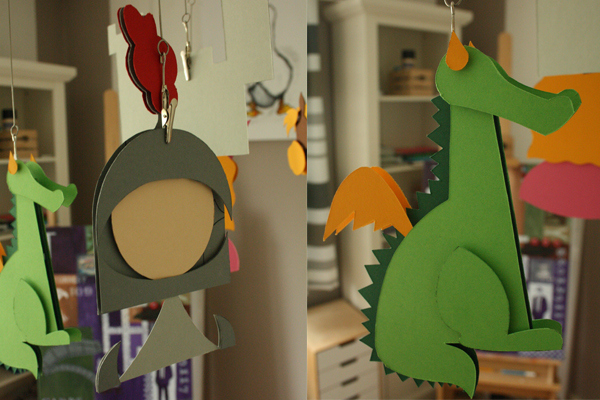 A mobile for above my nephew's crib with a knight theme and made of colorful, heavy paper.